On my reading of this Lasseters Sportsbook page here's what you should do. Bet $1,000 on "DOWN 0.25%", and $150 on "DOWN MORE THAN 0.25%". Your total outlay will be $1,150. If rates are cut by 0.25% on Tuesday you will be paid $1,200 as a result of your first bet. You will make a profit of $50. If rates are cut by more than 0.25 per cent you will be paid $1,450 as a result of your second bet. You will make a profit of $300. What a week it'll be. The first big event is Tuesday - when the Reserve Bank board meets and announces its rate cut decision at 2.30pm eastern time. And guess what - thanks to Lasseters Sportsbook you can bet on the outcome. If, as is likely, the Reserve Bank cuts its cash rate by 0.25 percentage points and you bet $100, you will make a $20 dollar profit. But if it cuts by more than that, as is possible, you will get nothing. On the other hand, if you are backing a bigger cut, your profit will be $800. They both seem like pretty good deals to me. Not sure whether the whole thing is taxed, but it looks like a good opportunity to clean up. Ethical considerations prevent me from doing it, but not you. On Wednesday the ABS releases the Australian National Accounts. We will see how far economic growth has slipped, and get an idea of what the Reserve Bank needs to do from here on. The following Monday , September 8, at 9.00am, The Governor himself will submit himself to a parliamentary grilling at the Dallas Brooks Hall. Go along if you are in Melbourne. Maybe we've been too hard on Kevin Rudd. These days everyone is bashing him over the head about introducing policies without an "evidence base". I got in early. It is true, he did promise to be guided by the evidence. "I'm a Labor moderniser. Always have been, always will be and what that's on about is good evidence based policy in terms of producing the best outcomes for this nation, carving out its future in a pretty uncertain century where things fundamentally are changing." Rudd is in hot water now over his plan to fight school truancy by stripping welfare payments from parents whose children don't go to school. "We've yet to see the evidence that this kind of approach will work," says the President of the Council of Social Service Lin Hatfield Dodds. But here's my thought. Maybe that's what Rudd's plan is about - getting the evidence. It'll run as a trial in specified suburbs and towns. It's possible to think of the welfare measure as a gigantic government-funded economics experiment using real people, real money and a real control group. It'll produce evidence alright - on a scale researchers usually only dream of. The 40 jobs to be lost from the Melbourne plant of car axle manufacturer Unidrive next month and the 80 jobs to be lost at Bosch's PBR are part of something much bigger. A count by The Age of announced job cuts in Victoria so far this year has topped 4,500 – almost 2,000 of them in the motor vehicle industry. Holden and Ford combined are cutting 880 jobs and their suppliers including South Pacific Tyres and Unidrive are cutting jobs partly as a result. While most of the jobs to be lost are in manufacturing, around 900 are in the service sector, including 30 at Melbourne University, 70 in the state Department of Primary Industries, and 360 at Bendigo’s Excelcior Call Centre. At least two of the announced job cuts in Victoria will directly benefit other states. Boeing and Diners Club are moving their operations out of Victoria to Sydney. The Opposition Leader Ted Baillieu says they are voting with their feet. “Victoria is losing its competitive edge and companies clearly believe they can do better for themselves in other states,” he said yesterday. Employment forecasts put Victoria and Tasmania at the bottom of the heap in the year ahead. Access Economics has Victoria’s employment growth eclipsed by South Australia and NSW as well as the two resource-rich states of Queensland and Western Australia. But crucially, Access – like most other private forecasters – still expects Victoria’s employment to grow. Access has it growing by an extra 34,300 in the year ahead. The ANZ Bank has it growing by 47,500. It’s growth, but it won’t be enough to cover the 48,000 newly-minted job seekers who are expected to need work in the year ahead. Victoria’s unemployment rate is bound to rise, and at 4.6% is already well above the national average of 4.1%. The ANZ’s Mark Rodrigues says the relatively poor outlook isn’t surprising. Victoria has little direct exposure to the mining boom, it is relatively highly reliant on manufacturing which is suffering at the hands of the high dollar, and along with NSW it is heavily exposed to the finance sector which has been hit by the worldwide credit crunch. The tax increase was a good idea. It is doing working as intended. But what if it is disallowed? Who gets the hundreds of millions that will have been collected? The government’s alcopops tax increase is turning into a timebomb. In effect from the date it was announced, April 27, it remains law until it is disallowed by the Senate. It is raking in cash at the rate of $100 million every two months. In the four months since it was introduced it has raised around $200 million, paid to the government by the drink manufacturers who have collected it from retailers who have collected it from their customers. In the month or two it will take the Senate to get around to deciding whether to disallow the tax, it’ll rake in another $100 million. The ever-growing problem is that if the Senate does knock it back, the lot will have to be refunded. Government and independent experts contacted by The Age agree. It’ll have to be handed to the distillers. A $300 billion handout to an industry that has nothing to deserve it would be an embarrassment to both the government and the Opposition. Michael Dirkis, tax counsel at the Taxation Institute of Australia says even if the distillers pass it on, the outcome will be untenable. Once a tax regulation has been disallowed, it is as if it was never law. The government can’t hold on to money it is not empowered to collect. Dirkis says a sensible solution would be for the Senate to block only continuing collections going forward and to approve the tax collected to date. But he says this isn’t possible. In the 1990s when the High Court found that state governments had been collecting alcohol and tobacco excises illegally, the states avoiding having to give the money back by passing special legislation permitting themselves to keep it. It would be possible to do that with the alcopops tax, but it might require more goodwill than the Government and the Opposition have. 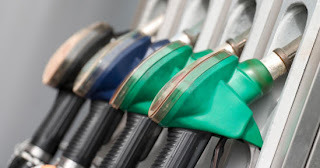 The same problems don’t apply for the other tax measures the Coalition has pledged to block – the 13 May imposition of excise on crude oil condensate, the July 1 tax hike on luxury cars, and the July 1 adjustment of the Medicare Levy surcharge threshold. In each case the changed rate of tax hasn’t yet been collected. Pressure on the Federal Government to boost taxpayer support for the car industry has intensified, with Ford yesterday declaring it would need additional aid to remain competitive beyond 2010. Days after The Age revealed that Ford would cut hundreds of jobs in Victoria due to falling sales of locally built cars, the company's international chief executive and president, Alan Mulally, has met Prime Minister Kevin Rudd and Industry Minister Kim Carr to press his case for more government support. "There was discussion about the fact that the market has become increasingly competitive and that for us to be able to continue to maintain our level of competitiveness in Australia we need to work with the Government on future transitional assistance programs," the spokesman said. Ford made no explicit threat to further wind down its Australian operations during the talks, instead stressing the commitment it had already made. "Mr Mulally reiterated the significant investment that Ford has made in Australia over the past 82-plus years, including recent significant investment such as the development of the all-new Falcon and the fact that Australia is the global engineering lead of the corporation's next global light pick-up truck," the spokesman said. "That re-emphasised our commitment to Australia and that it is an ongoing commitment," he said. Neither Mr Rudd nor Mr Carr made any comment after the talks, and the Government has yet to endorse the Bracks Committee's recommendations. Ford's push for more assistance comes after it confirmed on Friday that it would cut 350 jobs at its Geelong and Broadmeadows plants, due to sluggish sales of its locally built six-cylinder models. The proposed cut in the car tariff came under attack last week from two economists, who argued that the Productivity Commission had made a mistake in claiming that the cuts would boost Australia's economic welfare by $500 million. The creator of the economic model used by the commission, Professor Peter Dixon of Monash University, said the mistake had "created $400 million out of thin air". "This isn't a debate about interpretation. It's an error by the Productivity Commission," Professor Dixon said. The vehicle secretary of the Australian Manufacturing Workers Union, Ian Jones, said that regardless of the debate about tariffs, car makers such as Ford needed help over the next 18 months as they moved to shift production to newer, smaller cars. Ford will start local production of the smaller Focus in 2011. "They need that assistance to get them through," Mr Jones said. That help could come through measures such as cash incentives or interest-free loans. The next year-and-a-half would be about "managing decline" as the large car market suffers from higher fuel prices and a sluggish economy. Mr Mulally will visit Ford's Geelong and Broadmeadows factories today. · Car maker seeks taxpayer help to cope with tariff cuts. · Chief executive meets Prime Minister Rudd in Canberra. 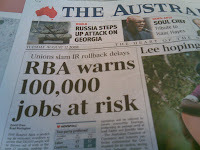 · Union chief backs push for more assistance. Previously secret Treasury documents reveal that in preparing the May Budget the Treasurer Wayne Swan squibbed on a promise to do “everything possible to put downward pressure on inflation”. The documents, released to the Seven Network under the Freedom of Information Act advised Mr Swan’s office that one way to place downward pressure on inflation would be to defer the $31 billion of tax cuts promised during the November election. The Treasurer and Prime Minister went ahead with the tax cuts nevertheless, making them a central part of the budget night speech. It said that deferring the tax cuts due to start in July would “reduce household incomes in the near term”. It said that to the extent to which it also reduced aggregate demand and the subsequent demand for labour and capital, it would “place downward pressure on inflation”. It is unclear whether the Treasury went further and advised Mr Swan to postpone or modify the promised tax cuts. Most of the paragraphs in the document released to the Seven Network are blacked out. One sentence that remains notes that there are "significant sensitivities with any proposal to defer or delay the tax cuts". Mr Swan had previously rebutted suggestions that the tax cuts would add to inflation and by implication refused to accept that deferring them would help fight inflation. During the first six months of this year inflation has soared well above the Reserve Bank’s 2% – 3% target, hitting an annual rate of 4.5%. The Reserve Bank is predicting that it’ll hit 5% next year. The Treasurer said last night that the July tax cuts had proved popular and well-timed. “There was a huge queue of people advising the government not to deliver the tax cuts. I was never in that queue, and there’s nobody in it now,” he said. Fever in the morning. Fever all through the night. I've been in sweating and shivering since Wednesday. Next year when my employer offers me immunisation against the coming round of flu, I'll accept it. For anyone who wonders where I've been, it's here - in bed with an awful head and awful thoughts going though it, progressively getting more pleasant. Did the Coalition really go into an election less than a year ago with a campaign slogan that read "Go for Growth"? Surely they didn't. Vacuous at best, dangerously irresponsible at worst, and as a slogan meaningless to the lives of of ordinary Australians - I had to remind myself they did in fact do it and were apparently proud of it. And that their back-up slogan was the genuinely meaningless "Aspirational Nationalism". Had they completely lost the plot by the end? The nearest parallel I can find is the in slogan that led the Coalition to its previous defeat in 1983 - "We're not waiting for the world". Asked on the morning after their defeat why the Coalition had lost, the conservative commentator Frank Knopfelmacher replied with bitterness: “They had nothing to say, and they kept saying it”. "In 1998 the lid was lifted on the corrupt world of NSW railways, revealing that supplying prostitutes could win you a contract, fake medical certificates signed by a dead doctor would get you a day off work, and you could claim overtime while playing golf. Ten years later it seems little has changed in RailCorp and the stench of corruption is slowly engulfing the NSW public sector. In past 12 months the Independent Commission Against Corruption has held inquiries into three State Government agencies - the Roads and Traffic Authority, RailCorp and the Department of Housing; the NSW Fire Brigades has joined the list this week." Read it and be glad if you live outside of the Rum Corp state. What’s driving the nine members of Australia’s Reserve Bank board? Their deepest, most primal fear. It’s that Australia will slide into a recession and that their fingerprints will be all over it. Like Lord Voldemort in the Harry Potter novels a “recession” is something that can’t be named. Instead the minutes of the Reserve Bank board’s August meeting refer to it as a “deeper and more persistent slowing in the economy”. The last time the Reserve Bank slowed things too deeply and too persistently one million Australians found themselves out of work. The members of that board will wear the opprobrium forever more. “In his view, after the property boom, Australia had to take a squeeze,” Keating said. Gordon Jackson is no longer alive and able to defend himself and so will have his reputation forever sullied. The damage to the reputation of the present members of the Reserve Bank board should they bring on a recession would be much worse. The mistakes of 1989 have been documented. The present Reserve Bank Governor Glenn Stevens worked in the Bank’s research department in 1989 and saw what happened. Working with him in the research department was Warwick McKibbin, now the independent academic on the board. The head of the Treasury Ken Henry, now on the board as the Treasurer’s representative, was at the time a senior advisor to Keating as Treasurer and watched was happening from Parliament House. The board members are worried that Australia’s banks made things hard for them last month by pushing up mortgage rates all on their own and they are also worried that economies worldwide are weakening. Very worried. The Reserve Bank has fingered Australia’s private banks as partly responsible for the tight conditions it says risk pushing Australia into a “deeper and more persistent slowdown”. The minutes of the August 5 board meeting released after a fortnight in accordance with Reserve Bank protocols show that the board seriously considered cutting rates on August 5. Its members felt that financial conditions were “clearly quite tight, and effectively getting tighter” without action from the Reserve Bank itself. Banks had increased their standard variable housing loan rates by an extra 0.15 percentage points in July without reference to the Reserve. This was part of a “further tightening of financial conditions domestically” over and above that intended by the Bank. The tightening that concerns the Reserve Bank is understood to relate not only to higher rates, but also to a tightening of access to credit. At a dinner in Bendigo last month to commemorate the 150th anniversary of the Bendigo Bank the Reserve Bank’s Governor Glenn Stevens pleaded with the banks to continue to lend widely. “Banks are in the business of risk management, not complete risk avoidance,” he said. They indicate that there was debate around the boardroom table about whether to cut rates straight away. On one hand “tighter financial conditions were causing the economy to slow but, on the other hand, the rise in the terms of trade would continue to add substantially to national income and capacity to spend”. The minutes do not make clear how the board members reconciled these “powerful forces pulling in opposite directions”. In particular they do indicate whether there was division within the board about whether to cut or wait or whether the decision to wait was unanimous. Among the board members present were the Secretary to the Treasury Ken Henry, the former head of Woolworths-Safeway Roger Corbett and an independently-minded Australian National University academic Warwick McKibbin. Since the August 5 board meeting bank bill rates and the deposit rates paid by the banks themselves have fallen sharply. The Reserve Bank’s Assistant Governor Philip Lowe told a conference last week that the 90-day bank bill rate, “often used as an indicator of the bank’s marginal costs of funds” had collapsed 0.50 percentage points. The minutes make it clear that the Bank board does intend to begin cutting rates at its meeting next month. A small business survey released yesterday showed both conditions and confidence at their weakest level in at least 12 years. The Australian Chamber of Commerce and Industry said the September rate cut would be just the first of several needed before the end of the year. The Housing Industry Association said homebuilding had slowed to a standstill leaving Victoria 6000 homes short what it will need to sustain its population over the next twelve months. Its findings were backed up in the Reserve Bank’s board minutes which said that Australia’s housing stock was growing noticeably more slowly than long term demand. Despite this “nationwide house prices were flat in the first half of the year”. Auction clearances rates in both Melbourne and Sydney were well and the number of properties offered for sale had begun to fall. Earlier dives in both share prices and house prices “suggested that household net worth had declined by almost 5 per cent” so far this year. Peter Dixon and Nicholas Gruen's challenge to Productivity Commission. The Commission's reply will appear here. Australia’s motor vehicle industry is asking the government to reconsider the tariff cuts recommended in the Bracks Report saying the evidence put forward to support them is built on a mistake. The Bracks Review recommended cutting the tariff on imported motor vehicles from 10% to 5% in one hit on January 1, 2010. It quoted the Productivity Commission as finding the cut would boost Australia’s economic welfare by $500 million. But the creator of the economic model used by the Commission in its analysis claimed yesterday that it had misinterpreted its results. Professor Peter Dixon of Monash University built the Monash Multi-Regional Forecasting Model used by the Productivity Commission for its economic analysis. In a ten-page analysis of its results commissioned by the Federation of Automotive Products Manufacturers he claims that while they were right to conclude that cheaper imported motor vehicles would boost the amount of capital goods used in business, they were wrong to describe that as a boost to economic welfare. The Commission was tight-lipped yesterday about the analysis. It said it was reviewing it and might put a response on its website in due course. The $400 million hole claimed by Professor Dixon is in addition to earlier quibbles with the Commission’s work which he presented to the Bracks Review as it was compiling its report. Taken together Professor Dixon’s adjustments to the Commission’s modelling suggest that the net economic gain from cutting tariffs to five percent would be close to zero rather than the $500 million claimed by the Commission. Professor Dixon was keen to point out that he wasn’t accusing the Commission of misusing his economic model, merely of misinterpreting its conclusions. A spokesman for the Industry Minister Kim Carr said he had made no decision on cutting tariffs and would consider Professor Dixon’s report in deciding how to respond to the Bracks Review’s recommendations. Australia’s motor vehicle industry will today unveil what is says it’s a “major technical error” in the economic modelling used by the Bracks Review to justify halving the tariff applying to imported cars. The Bracks Report recommended cutting the tariff from 10% to 5% in one hit on January 1, 2010 in accordance with the previous government’s timetable. The Federation of Automotive Products Manufactures will today challenge that finding, using the work of two of Australia’s leading economic consultants. Professor Peter Dixon of Monash University is the author of the Monash Multi-Regional Forecasting model that the Productivity Commission relied on to arrachieve its results. Dr Nicholas Gruen is a former Presiding Commissioner at the Productivity Commission and as an advisor to the then Industry Minister John Button helped draw up the Button Car plan in the 1980s. They will argue that in order to find a net benefit from the tariff cut the Commission had to assume that the tariff cuts created an implausibly large “investment effect,” sometimes also known as the “cold shower” effect. Whereas it is clear that cuts in very big tariffs have positive economic effects, when tariffs get low the benefits of further cuts will be offset by the costs that will result from lower export prices. The Productivity Commission countered this effect by assuming the “cold shower” of further tariff cuts would unleash extra productivity gains, something that Dixon and Gruen dispute, arguing that most of the productivity gains have already taken place. In a paper presented to the Bracks Review in June they argued that “making the shower colder” would be just as likely to starve the industry of investment, slowing rather than boosting productivity growth. The head of the Bracks Review, former Victorian Premier Steve Bracks said last night that he was familiar with the arguments and did not expect them to seriously challenge his inquiry’s findings. “This is all about different interpretations of economic models. Now that we are at a low tariff level, the impact of further tariff reductions is almost negligible, either way,” he said. Why do its forecasts always have the inflation rate returning to its target band? Coalition politicians at this week's economics committee hearing felt a little pained that RBA had been forecasting inflation within the target band in the lead up to the election (essentially assuring everyone things were fine) and is now saying that that was the very time inflation was taking off. "Our forecasts - we always have inflation coming back to the band, because by definition it has to. I mean if you're not forecasting that it's back in the band you are saying by definition we've got the wrong monetary policy. So you'll see that our forecast and every central bank's forecast for inflation around the world is basically at the end of the forecast period inflation is back in the band. That has to happen." "ANZ has cut its savings rates by up to 0.55 per cent per cent, Commonwealth Bank by up to 0.40 per cent, St George by 0.28 per cent and Westpac by up to 0.30 per cent." All in response to the dive in 90-day bank bill rates. Fair enough. But those banks haven't yet cut their rates on mortgages (funded half at around the 90-day bank bill rate) and they say they are not sure they will at all. On Wednesday St George pushed UP by 0.25 percentage points the rate it changes on its business loans. Curious, I asked the St George spokesman why the bank felt to the neeed to push up rates at a time when rates were falling. I can confirm we raised business lending rates 0.25% on Wednesday. Attached is the new rates now effective. Our rates are constantly under review. There are many other variables besides the official cash rate that affect interest rate costs and these all have to be taken into account. For example, the 90-day cash rate, the cost of short and long term funding, all impact the Bank's cost of funds. The 90-day rate! Strewth! Don't they think we know it's been diving? They must know. They cut their deposit rates in response. Where did I get the graph? Oh yes - St George in its Tuesday market presentation. I'd thought so. But Ian Verrender in today's Herald thinks not. "You've probably heard all the complex explanations about the higher cost of funds in offshore markets because of the global credit squeeze and been dazzled by talk of "spreads blowing out to 100 basis points". It sounds impressive and there is no doubt it contains a grain of truth, because costs certainly have risen. However, the technical term used by most economists for this argument is "crap". The real reason they won't be passing the cuts on to you is simply that they don't want to, and they don't have to. And if you don't like it, see if you can get your loan elsewhere. Bet you can't." In January I suggested it would be useless. Now the Sydney Morning Herald's Jessica Irvine has actually tried to use it. The "special hotline" number just turns out to be the ASIC general phone number. Try dialling it; at first you'll get a list of options asking you whether you are an ASIC agent or a company director, or are ringing to report a scam, in which case you should press "3". Even at this early stage, bank switchers, the urge to press "3" will be quite strong. Resist it; stay on the line. When an operator arrives, and you mention that you're calling about bank switching, you will elicit first a brief silence, then a pleasant musical interlude, and finally an extremely nice young woman who explains that you might be better off consulting a website called "Fido". The big banks say they are not sure if they can pass on to mortgage holders all of the next cut in official interest rates. The Reserve Bank says they can, the Prime Minister says they must, and the bank’s critics say they are creaming in so much money that they can afford to cut right now. Are the big five creaming in money like never before? You bet. The Reserve Bank says that over the latest six-month reporting period their profits after were up 12½ per cent on the year before. Not bad work in the middle of an international credit crisis. By contrast in the US and Europe bank profits are down around 70 per cent. But haven’t the National Australia Bank and the ANZ set aside hundreds of millions of dollars to cope with the losses expected from the US sub-prime mortgage crisis? Yes. They were unwise to buy US mortgages, and unwise to place their faith in the credit agencies that rated them AAA. But their core business – loans to Australians – is doing well. Only 0.4% of Australian bank mortgage holders are behind on their payments by more than three months. In the US the figure is 2.2%, and in the UK: 1.3%. Things might get worse for Australia’s banks, but the Reserve Bank says that even so their after-tax return on equity this half year will remain at around 15% “not that far below the average of the past decade”. Their competition has been blown away. Most of non-bank mortgage lenders are no longer in that business. The RAMS brand name has been bought by Westpac. Aussie sells loans on behalf of banks themselves. The non-bank lenders that remain write only about 4% of new loans, down from 13 per cent a year ago. What killed the non-bank lenders? Costs. Non-bank lenders funded nearly all of their mortgages by bundling them up and selling them to overseas investors. After the US sub-prime crisis, those overseas lenders refused to buy Australian bundles at almost any price. It no longer mattered that Aussie mortgages were rated AAA. The foreign funders had discovered that could mean little. It became so-expensive for the non-banks that even with the banks pushing up their rates by 0.55 percentage points more than the Reserve, most could no longer compete. But what about the banks? Aren’t they in the same boat? In part. It depends on the bank, but roughly half of each bank’s mortgages are funded from the same place as the non-banks. The rest are funded from sources such as deposits. That money has been pouring in. Bank deposits are up 18 per cent. Term deposits are up 40 per cent. The Melbourne Institute survey has found that more people now say that bank deposits are a wise place for their savings than either real estate or shares. Bank deposits are more popular than they have been in two decades. But aren’t banks having to pay more to get these deposits? Yes. Bank deposit rates are closely aligned to 90-day bank bill rates, and they have been soaring, but by nowhere near as much the cost of overseas funds. And just recently the 90-day bank-bill rate has been diving. It is down around 0.5 per cent in just the last three weeks. In the words of the Reserve Bank’s Assistant Governor Philip Lowe the dive “has significantly reduced the banks' marginal cost of short-term funding.” They are in a good position to cut rates. The Reserve Bank’s Deputy Governor Ric Battellino said Thursday that their cost of mortgage funds has probably fallen 0.25 to 0.30 percentage points. So they could afford to pass on in full the Reserve Bank’s expected 0.25 per cent cut in interest rates? If the banks were could afford to keep providing mortgages before their costs fell, they can probably afford to keep providing them while cutting their rates 0.25 percentage to 0.30 percentage points. Does it follow that they probably afford to cut their mortgage rates now, without waiting for the Reserve Bank to cut professional interest rates at its board meeting on September 2? Yes, with two important caveats. One is that they would need to cut their deposit rates, but given that deposit rates typically move with bank bill rates that should not be difficult. The other is that the main reason that 90-day bank bill rates have fallen is that because the Reserve Bank has been planning to cut interest rates. Bank bill rates can be thought of as an educated guess about the Reserve Bank’s rate movements in the months ahead plus a margin for risk. Should the Reserve Bank not cut interest rates as expected on September 2, bank bill rates would shoot back up and so would the bank’s costs. Cutting rates early would have been unwise. But we know that the Reserve Bank will cut interest rates on September 2. In a break with tradition its Deputy Governor actually said so at a parliamentary hearing yesterday. It would be safe for the big banks to cut their mortgage rates early, so why don’t they do it? One of them yet might. It would get a massive marketing advantage. But at a cost. Inside the banks their accountants use term “lagging profits” to refer to the money they make by delaying cutting what they charge for as long as possible after the prices they pay have been cut. Are there any real limits on what banks can charge? Oh yes. If they charge too much more than their costs the non-bank lenders will find it profitable to compete against them again. They may have retreated for now, but big bank margins would bring them back. Could the government shame the big banks in cutting rates? That’s what the Prime Minister, the Treasurer and Reserve Bank appear to be trying to do. Should they be? Aren’t big bank profits good for us? They are if we own bank shares. And through our super funds most of us do. In a strictly legal sense each bank’s board of directors is responsible to its shareholders rather than its customers. It helps to pay attention to the customers, but if competitors are leaving the scene there is less risk that they will go elsewhere. That risk is shrinking month by month. The Adelaide Bank has merged with the Bendigo Bank, and St George is planning to merge with Westpac. Are big bank profits good for us more broadly? Do they help keep the banking system healthy? That’s exactly what the Reserve Bank argued at the parliamentary hearing Thursday. The Deputy Governor said that if the banks had not passed on their extra costs, their profits would have fallen quite sharply and made it harder for them to raise funds on overseas markets. So the Reserve Bank wants to put pressure on the big private banks, but not too much? That’s right. It is probably not that unhappy that the banks will wait until it cuts its rates on September 2 before cutting theirs. What would the Reserve Bank do if the private banks ignored it and refused to pass on the pass on the full extent of the September 2 official rate cut? It would simply cut official rates again. What matters to the Reserve Bank is the level of rates actually paid by ordinary Australians. If it needs to cut official rates again in order to get the private banks to cut those rates, it’ll do it. How far might the Reserve Bank cut? Its first cut will be either 0.25 per cent or 0.50 per cent. But it will keep cutting until it gets the outcome it wants. On Monday it defined that outcome as promoting “sustainable growth consistent with the medium term inflation target”. The bank is relaxed about the inflation target right now. Inflation is due to hit 5 per cent later this year, but it expects the weak economy to pull it back to 3 per cent by mid-2010. It is much more concerned about sustaining economic growth. Sure the economy is weakening, but didn’t the Reserve Bank want that? It did, but it doesn’t want to bring on a recession. No central bank does. The second-most senior official in the Reserve Bank has broken with tradition and revealed that an interest rate cut is imminent. Normally secret, the recommendations that go before the Reserve Bank board are closely guarded in order to allow members to make decisions as they see fit. But yesterday the Bank’s Deputy Governor Ric Battellino told a parliamentary inquiry that the bank was “in a position to respond on interest rates”. “The Bank took the view that it had to take measures to stop inflation going higher,” he said. “We have asked households to cut back on their spending and I think it’s fair to say that households have responded very favourably. The admission pushed the Australian dollar down below 87 US cents within minutes. It hit a low of 86.70 before recovering to close just above 87. Asked how the Reserve Bank could be preparing to cut its rates at time when it was forecasting inflation to climb to 5 per cent, the Deputy Governor said the Bank could not wait to see a fall in inflation before starting to cut, “because by then it would be too late”. “The Bank’s policy has always been to be pre-emptive. We try to be pre-emptive when we start tightening and pre-emptive when it comes to easing. The Reserve Bank now finds itself in a position where it is able to think about cutting interest rates, Mr Battellino said. The declaration leaves the only one question to be decided at the Reserve Bank board’s September 2 meeting – the extent of the cuts. Macquarie Bank economist Rory Robertson who attended the inquiry’s hearing said it was looking increasingly likely that the cuts would come in two instalments: 0.25 percentage points in September, and a further 0.25 percentage points at the board’s following meeting on October 7. “It was interesting the extent to which he was prepared to discuss the rate cut decision as if it had already been taken. He didn’t even try to be coy,” said Mr Robertson. Two cuts of 0.25 per cent each would take a combined $90 per month off the cost of repaying a $250,000 mortgage if fully passed on by the banks. The Deputy Governor stepped up pressure on the banks to pass on the cuts in full by telling the committee there had been a “material change” to their costs as a result of recent money market movements. The bank’s total funding costs had “probably fallen by 0.25 percentage points or 0.30 percentage points”. The Finance Minister Lindsay Tanner ruled out legislation requiring banks to pass on the cuts, saying that it would take Australia back to the days “when people ended up with cocktail loans where they borrowed a proportion at the official rate and had to borrow the rest at a really high rate”. The head of the Commonwealth Bank Ralph Norris told the AM program that he would not accept anyone from the government telling him what to do. “I don't think we live in a communist country. We will do what is commercially, appropriately, what is prudent,” he said. Due out tomorrow (Friday) at 9.30am eastern time. Reserve to Australia's banks: Pass on the cuts. You're creaming it in. The Reserve Bank has challenged Australia’s private banks to pass on in full the coming 0.25% to 0.5% cut in official interest rates, declaring that they are highly profitable and that their cost of funds is diving. The challenge comes as two of Australia’s largest banks, Westpac and St George, received approval for a merger that will create Australia's biggest mortgage lender. The Reserve Bank’s Assistant Governor (Financial System) Philip Lowe told a conference in Sydney that Australia’s banks were “highly profitable by international standards” and that the big five banks were making double what they did five years ago. In recent months they had increased mortgage rates by around 0.55 percentage points more than the Reserve Bank had increased its cash rate, a decision they had justified by pointing to extra increases in their cost of funds. But the 90-day bank bill rate, “often used as an indicator of the bank’s marginal costs of funds” had fallen sharply in recent weeks. "I think over the last two or three weeks the 90-day bill rate has down around half a per cent,” Dr Lowe told the conference. “That has significantly reduced the banks' marginal cost of short-term funding." "That means that there is no obvious reason that the banks could not pass through any change in the cash rate." The Reserve Bank is understood to believe that as much of half of the bank’s mortgages are funded from deposits and other assets whose costs closely match the 90-day bank bill rate. A 0.50 percentage point drop in those costs should allow the banks to cut mortgage rates by at least 0.25 percentage points. In Perth the Prime Minister backed up the Reserve Bank’s assessment declaring that the banks had had a responsibility to pass on to their customers the expected cut in professional rates. Announcing a 7% jump in its annual profits the Commonwealth Bank rejected the Prime Minister’s plea declaring that it was unable to guarantee that it would pass on the next interest rate cut in full. “Obviously at that point we will assess what our average cost of funds is and obviously a cut will have some impact on that, and it is a matter of assessing exactly what that cut is,” he said. You can get an idea by asking whether the Olympics boosted Sydney's economy. At Odd Numbers, Zubin Jelveh presents a persuasive answer. Try his "spot the boost" test for yourself. What was the name of that consulting firm that produced the impressive-looking study arguing that it would boost Sydney's economy? The NSW Treasury predicted an even greater boost! See also: Sunday dollars+sense: This'll be worth millions! "THE Reserve Bank is predicting an economic slowdown so severe that 100,000 people will be thrown out of work in the next 12 months, pushing the unemployment rate to 5 per cent and possibly higher if the financial crisis worsens." In fact the Reserve Bank predicts that employment will GROW in the next twelve months, by 0.75 per cent. Will the Reserve Bank complain? Who knows. When I asked how The Australian concluded that the Reserve Bank was forecasting a drop in employment when it was in fact forecasting an increase, I was told that the newspaper meant that the Reserve Bank's forecasts implied that employment would grow by 100,000 people fewer than it would have. Australia’s Reserve Bank has expressed deep concern about Australia’s economic outlook, presenting forecasts that suggest it might have lifted interest rates too high. Its latest Quarterly Statement predicts that economic growth is about to slow to a crawl and that unemployment will climb to 6%. And the Bank warns that while these are its central forecasts, any further deterioration in the global outlook could lead to a “significant deterioration” beyond those forecasts. Australia's rate of economic growth, at present 3.6%, is forecast to slow to 2% by the end of this year, with around half of that coming from the mining and farm sectors, implying an anaemic 1%growth rate in the rest of the economy. Westpac's chief economist Bill Evans said the Reserve Bank seemed to be "shocked" by the severity of the slowdown that it had helped engineer. "It's worried about the global outlook and concerned that that financial turmoil could exacerbate the slowdown," he said. The Bank said that some of the downward revision in its forecasts was due to the explosion at Western Australia's Varanus Island gas plant which had cut that state's gas output by one-third and would knock 0.25 per cent off national economic growth. However it said there had also been "a sharp slowing in credit expansion to both households and businesses" as private lenders had pushed up their interest rates by more than it did and toughened their lending standards. Housing loan approvals had fallen 20% since the start of the year and business loans were growing at an annualised rate of just 8 per cent - well down on the 17 per cent growth rate at the end of last year. The Bank said that retail spending was falling in real terms, as were sales of motor cars and consumer and business confidence. Lending finance figures released Monday lent weight to the Bank's Statement, posted their biggest slide in 16 years. Total lending slumped 13.3% in the year to May, the biggest annual decline since January 1992 when Australia was emerging from a recession. However it has indicated that this will not stop it cutting interest rates, saying that so long as the economy remained subdued it saw the scope for rate cuts "increasing". The Bank is expected to cut its cash rate by 0.25 per cent when its board next meets on September 2, the first such cut for seven years. News yesterday that while the global financial crisis was serious, Australia was "resilient" and had a very strong broad base. The government's Pension Review Background Paper is out (11.00am). When it is put up on the web, it'll be here. Also. the RBA has released its Quarterly Statement (at 11.30am). It's here, and it is clear that it is worried the economic downturn will go too far. Also today (at 11.00am) the Government released For Your Information: Australian Privacy Law and Practice, the result of a two-year investigation by the Australian Law Reform Commission. 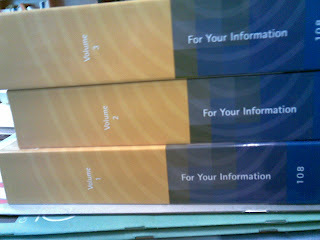 As you can see from the attached photo - the three-volume report is huge - 295 recommendations. FuelWatch continues to be mauled during the Senate Committee process. Today on Meet The Press, the Consumer Minister Chris Bowen found a great way of selling it. When the Government puts out a tender, when the Government wants to buy something which is expensive, it says to people who want to sell it to them, "Put in a price, put in your best price, and then we'll judge it, and you can't reduce that price because we want your best price up front." GROCERYchoice is actually rather good. Critics have been saying it tells you nothing more than that ALDI is cheap, and that the IGA/Independents are expensive. The Australian has even argued that the website is an advertisement for ALDI. But that's beside the point. The facts are that ALDI is very cheap and that this information is useful. "A non-event of massive proportions. Unit pricing + zoning laws + Horticulture regs. Yawn. The report pretty much vindicates the supermarkets, as does the Government's response." But I think this too misses the point. The ACCC did a very thorough job and did indeed discover that not much is wrong in the supermarket industry (apart from the role of Metcash). This is an important finding. A surprising one to many, but important one. We shouldn't dismiss the worth of its inquiry just because it has shot down some interesting theories - that's as important as finding those theories correct. Our own Woolworths turns out to be very, very profitable. "You can't micro manage a thing like the Commonwealth. And I noticed the other day that the US presidential candidate Obama was overheard with a microphone on with the British Opposition Leader saying in these jobs you must have time to think and I used to say that to that Gary Gray when he was secretary of the Labor Party, he thought we should have been out all the time talking. I mean John Howard turned the prime ministership into something like a state police minister. He was at the scene of every crime, twice a day on radio. The guy did no thinking. When a country has a leader that does not think, think then that country starts to move back. KERRY OBRIEN: You would have to form the impression that Kevin Rudd is not giving him that much time to think either? PAUL KEATING: Well frenetic activity in the end suiting journos, running at the behest of little press secretaries does not pay off. CAMERON: You should be on the beach. You need a break. Well, you need to be able to keep your head together. OBAMA: You've got to refresh yourself. CAMERON: Do you have a break at all? CAMERON: These guys just chalk your diary up. CAMERON: We call it the dentist waiting room. You have to scrap that because you've got to have time. CAMERON: Your feeling. And that is exactly what politics is all about. The judgment you bring to make decisions. OBAMA: That's exactly right. And the truth is that we've got a bunch of smart people, I think, who know 10 times more than we do about the specifics of the topics. And so if what you're trying to do is micromanage and solve everything then you end up being a dilettante, but you have to have enough knowledge to make good judgments about the choices that are presented to you. "I guess this is what to expect when you get librarians to do financial calculations. If you assume a normal profile of earnings, 40 years in the work force, 15% tax on contributions, 12% tax on earnings which is typical of super funds, 1% fees, 6.5% real returns before fees (typical of the last 100 years), then a person whose only savings are the 9% super will have 35% of their peak income available to draw. This is based on the fact that if you draw more than 3% you have a big chance of exhausting your money. I would be interested to see the librarians' calculations - I suspect they are assuming 10% plus investment returns which is unrealistic after taxes, fees and inflation. So, what are the Parliamentary Librarian's assumptions? "An individual making 9 per cent contributions to superannuation for 40 years, living for 18 years post retirement and receiving a real rate of return of 3.5 per cent. The retirement incomes for low income earners include income from both superannuation and the relevant part pension to which they are entitled. The reasonable benefit limit has been ignored." We don't need to lock away 15 per cent of our lifetime income in superannuation, and the arguments of Paul Keating to support the change are disturbing. In the book on his economic reforms launched this week, Unfinished Business, Keating says it would turbo-charge the funds management industry. "The Australian superannuation savings pool is now fourth in the world; in not too many years, it will be number two," he tells the author David Love. "With such a massive pool of savings, even at 9% we would go to something like 3 trillion dollars. With movement to 12 and then to 15, the whole thing will accelerate. With a vat of funds that large, you will find the institutions coming here." It is true that many of us who are presently working will retire without enough super. The Australian Association of Superannuation Funds says the average account in 2006 was just $69,000 for men and only $35,500 for women. But that's because we have spent only a portion of our working lives putting in 9%. By the middle of this century almost everyone who retires will have spent his or her entire working life putting in 9%. And guess what? They'll be embarrassingly well off. According to calculations by the Parliamentary Library, right now an Australian on $50,000 can expect to take home $39,140 after tax. After a lifetime of compulsory 9% super, that person's post-retirement post-tax income would jump to $50,013. That's right. Nine per cent super would buy them a pay hike on retirement. It is in the middle of our working lives when we are trying to buy a house and educate our children that we really need our income. We don't need as much when we retire. Institutionalising a pay rise on retirement would be cruel, and Superannuation Minister Nick Sherry knows this. He is right to focus on pensions. Many of us will retire short of money. Our children and their children's children will not. to spend to have a comfortable standard of living in retirement?, 2004. Australia's jobs outlook is as murky as the Beijing sky. Macquarie Bank interest rate strategist Rory Robertson said the July figures, released yesterday, were a "waste of space". And CommSec chief economist Craig James said anyone believing that full-time jobs rose by 53,700 and part-time jobs fell by 42,800 "probably also believes in the tooth fairy". The Bureau of Statistics chose July to slash its monthly labour force survey by 24% as part of its effort to find $22 million of budget savings. Until last month, about 54,400 people were asked about their employment position each month. Now it is 41,100. The ABS has also abolished its quarterly vacancies survey, which was believed to be more accurate than the private newspaper and internet advertisement counts. Treasurer Wayne Swan said the cuts were "entirely a matter for the statistician". "He is independent. He adjusts his budget to suit his judgement," Mr Swan said. "Like everybody else, he has to work within his budget." The ABS figures seemed to show full-time employment doing one thing, part-time employment another, total employment up 10,900 and the national unemployment rate unchanged at 4.3%. Mr Robertson queried whether the figures reflected the facts. "Given the uncertain effects of the crazy cost-cutting shift to a new one-quarter smaller survey sample size, the bureau's monthly jobs data now are a waste of space for economy-watching purposes, today and for the next several months at least," he said. "We have no way of knowing anything about the news-to-noise ratio in the report." The ABS' "trend" figures show that full-time employment fell in only one state, Victoria, last month, just as it had fallen there over the previous six months. Victoria lost 1500 full-time jobs in July, and has lost 16,200 since January. The other states have gained jobs. Victoria's total employment is better than the full-time numbers indicate, suggesting a "hollowing out" of jobs in the state as full-time jobs have vanished and been replaced with part-time ones. Victoria lost 300 jobs last month in trend terms, and 2200 over the past six months. NSW joined Victoria in losing jobs in July, shedding 3400 - all of them part-time. Earlier in the year, NSW was enjoying something of a recovery, gaining jobs at a rate approaching that of Western Australia and Queensland. The latest figures - if correct - show that the NSW jobs market is again becoming more like Victoria's. South Australia's trend employment increased 1200 last month, moving in the same direction as Queensland and Western Australia, whose jobs totals jumped 5600 and 3100. VICTORIA has emerged as Australia's employment basket case with the latest figures showing it lost 16,200 full-time jobs at a time when every other state was gaining jobs. The labour force figures for July show that since the start of this year Australia has gained an extra 74,300 full-time jobs in trend terms with Queensland responsible for 48,900. Western Australia gained 23,100, and even the more poorly performing states of NSW, South Australia and Tasmania gained 21,700, 8000 and 4300. Victoria stands alone in losing full-time jobs - 1500 of them in the past month. At 4.6%, the state's unemployment rate remains stubbornly above the national average of 4.3%. Opposition Leader Ted Baillieu said the news showed that Victorian business leaders were losing faith in the state. "We have had announcements of job losses at Don KRC Smallgoods, Dartmoor Sawmill, Ardmona in Shepparton, the Somerton tyre factory and even the Government's own Department of Primary Industries," he said. Federal Treasurer Wayne Swan welcomed the national figures, saying they showed evidence of strength as Australia faced "the most difficult global economic conditions in 25 years". Australia's national unemployment rate remained steady at 4.3% in July while an extra 10,900 Australians found jobs. But the make-up of the change was unusual with the figures suggesting that full-time employment climbed by 53,670 while part-time employment dropped 42,800. The Bureau of Statistics warned that the July figures would be less reliable than in the past as it had cut the size of its survey by 24% to cope with budget cuts. However, it said the smoothed or "trend" estimates would remain reliable. Economic analysts had another reason for treating the July result with suspicion, saying it was a reflection of conditions up to four months ago. "It takes employers around four months to hire new staff - from advertising for positions, to interviews, and then to the first day of a new job," said Commonwealth Securities economist Savanth Sebastian. "These figures highlight the much better economic conditions noted earlier in the year. "There has been a change of scenery in the last couple of months. Domestic demand has deteriorated. Retail trade, consumer sentiment and business confidence have all fallen by the wayside. "Employers are attempting to shore up profitability by controlling costs, and with labour costs effectively a large component of any business, employment is likely to weaken in coming months." Asked whether he thought the buoyant national employment result would encourage the Reserve Bank to wait before cutting interest rates, Mr Swan said that was entirely a matter for the bank. But he said that when the bank did begin to cut rates, he would expect Australia's private banks to follow it down. Australia has far more taxes than is commonly realised – 125 at a conservative count, many of them extremely obscure. The queen bee levy is singled out as Australia’s smallest tax in the in the discussion paper that will guide the 18-month review of Australia’s tax system. In 2006/07 the levy raised just $8,000 from bee keepers exporting queen bees, levied at the rate of 10 cents for each bee sold for over $20 and 0.5 per cent of the price of bees sold more cheaply. But, like many of Australia’s smaller taxes, it cost a lot to collect. The discussion paper says that out of every $100 collected, $21 dollars was eaten up by the cost of collection. The Nashi Pear Levy and Export Charge is the most expensive tax to collect, the costs eating up $30 of every $100 collected. The discussion paper makes the point that would rather trust the government to collect their money and hand it to their industry than they would trust each other. Most of the $2602.5 billion raised in tax in 2006/07 came from just ten taxes, the biggest being personal tax, company tax, the Goods and Services Tax and fuel excise. For many of us, paying tax is neither complicated nor particularly painful. Our tax take is the eighth lowest in the OECD. And contrary to widespread belief the system isn’t getting more complex. The discussion paper says that on almost every measure – pages of the income tax law, the use of tax agents, the time spent preparing business activity statements, the tax system is becoming simpler. Launching the 343-page discussion paper in Melbourne the Treasurer Wayne Swan said its observations would challenge many people. The Treasury Secretary Ken Henry who is heading the inquiry said he had “no doubt some people will find some of the observations a little uncomfortable”. The paper suggests that the taxation of the returns from saving is blatantly unfair. Interest on money in the bank is taxed at a real rate approaching 80 per cent. Money earned from borrowing to buy shares is taxed at a real rate of around 5 per cent, and the returns from employer-provided superannuation are taxed at a real rate of minus 180 per cent. It raises the prospect of imposing a resources rent tax on coal and iron ore miners making the point that “these natural resources are owned by all Australians”. It says their profits have increased by far more than have state government mining royalties. The members of the tax and transfer system review will meet for the first time today. They have been asked to report by the end of 2009. The Treasury's Tax Review discussion paper is out! It'll be on the Tax Review website. Australia’s Reserve Bank has put beyond doubt its desire to cut interest rates, saying in a statement after its Board meeting that the scope for cutting rates is increasing. “There is now an explicit bias to ease,” said BT Group’s chief economist Chris Caton on reading the statement. “The Bank has cleared the way for a September rate cut,” said Wespac’s chief economist Bill Evans. Before the statement the market priced in an 86 per cent probability of a September cut and a 14 per cent probability of no change. The turnaround reflects the statement’s unusually direct hint that the board is considering cutting rates and also the absence of the usual assertion that “the current stance of monetary policy remains appropriate”. Mr Evans said the last time the bank changed direction on rates in February 2005 it used similar wording to prepare the markets for a move the following month. “We would put this statement firmly in that same category, and therefore expect a rate cut in September, as long as the intervening data does not warrant a substantial upgrade of the outlook for demand,” he said. The bank will spell out its intentions more clearly in its major quarterly report on the economy next Monday. Tuesday’s statement confirms that the Bank expects inflation to remain near its current long-term high of 4.5 per cent for some time before falling back to the Bank’s 2 to 3 per cent target zone in 2010. It says household spending is “subdued” and credit growth has slowed significantly. Business activity is “softening”, and there are early signs of an easing in labour market conditions. The statement makes clear that this is the sort of slowdown the bank has been trying to achieve with its series of four interest rate hikes since August last year. It says additional hikes imposed by lenders themselves have resulted in “further tightening” over the past couple of months. “The evidence is that the tightening in financial conditions, in conjunction with other factors including rising fuel costs and lower asset values has restrained demand,” the Bank said. The statement notes that Australia’s rising export income “is working in the opposite direction” but it says on balance it expects Australia’s economic growth to be “fairly slow”. The Treasurer Wayne Swan said it was unhelpful to talk about recession that the government would “use all the levers that we have, that we control, to get the desired outcomes”. The Chief Executive of the Australian Industry Group Heather Ridout called on Australia’s banks to fully pass on any interest rate cuts instigated by the Reserve Bank and not to increase rates in the meantime. ...with demand slowing, the Board’s view is that scope to move towards a less restrictive stance of monetary policy in the period ahead is increasing. At 2.15pm in Melbourne the The Assistant Treasurer Chris Bowen and the ACCC Chair Graeme Samuel will release and offer immediate responses to the the 642-page report of the ACCC's inquiry into grocery prices, completed only last week. Fresh signs of an economic slowdown have raised expectations that the Reserve Bank will move soon to cut official interest rates, providing struggling home buyers with their first rate relief in seven years. In the latest indicators of a faltering economy, new figures have confirmed that the jobs market is deteriorating, and that house prices have been falling in big cities including Melbourne. The Reserve Bank board will meet in Sydney today, and discussions are expected to focus on the timing of a cut in official interest rates. eight capitals in the June quarter. in a similar mix of suburbs.